Yoga is my new Passio n! We often hear in the media that yoga can ease painful ailments or injuries, but it’s warming to read first-hand accounts where yoga has transformed people’s lives. 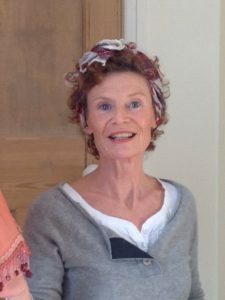 In anticipation of our Back Care Workshop on Friday 1st July, which is open to anyone who is in need of ways to support and protect their back, we spoke to a Yoga Kula regular student who tells us about her experience of yoga for managing pain. After four years taking prescription painkillers following a cycling accident, my yoga journey began when the consultant at the Yorkshire Pain Clinic, advised me to try yoga and meditation. I was willing to try anything to get off the drugs and get back to running and cycling, which were my real passions. Since then I have managed without any prescription drugs. Practicing yoga has built back a lot of strength in my neck, shoulders and core, it’s also helped me regain my range of movement, which was greatly reduced after the accident. The breathing techniques and meditation have been a great help with controlling pain when I do have a bad day. If anyone is unsure of where to begin, I would recommend supervised Yoga to someone suffering neck, shoulder or back pain. Yoga has changed my life in many ways, it’s helped me reduce the number of bad pain days I have and even then I can still do some kind of yoga to concentrate my mind and body to overcome the pain. To book your place on our Back Care Workshop which takes place on Friday 1st July 2016 at the Yoga Kula Studios in Chapel Allerton please visit this link.